Before We Get to Low-FODMAP Snacks, What’s the Diet? If you struggle with irritable bowel syndrome (IBS), the low-FODMAP diet may be on your radar as a promising solution. Although the diet is relatively new and gaining traction in the IBS community, it’s very well studied with more than 30 successful clinical trials for adults. The rules and diet restrictions are very specific with a science-backed approach to identify what triggers negative gut symptoms. With the low-FODMAP diet, IBS sufferers go through 3 stages to completely restrict all FODMAPs and then carefully reintroduce foods back into the diet to discover triggers and limits. Because the diet is so prescriptive, you may struggle to find low-FODMAP snacks to replace what you currently like to nibble on. Fear not, there are many options! The lengthy acronym stands for Fermentable Oligo-, Di-, Mono-saccharides And Polyols. In real terms, these are fermentable carbs that often trigger gas, bloating, and digestive discomfort. For IBS-sufferers, the typical bloating that most people feel after eating an apple can be unbearable. However, most FODMAPs are also prebiotics, which support healthy gut flora, so finding balance here is essential. The low-FODMAP diet avoids many common foods, including lactose, honey, wheat, and many fruits and vegetables. During the first 2 to 6-week restriction period, dieters must only eat low-FODMAP foods. For dinner time, avoiding garlic and onion is one of the biggest challenges, but there are lots of recipe resources to help you feel full and satisfied at the dinner table, like this one. Finding inspiration for low-FODMAP snack foods can be a little tricky. Here are some options that are easy to make, pack, and enjoy throughout your day. Unwrap and snack in seconds but be careful that your protein bar complies with the low-FODMAP diet. Watch out for pea protein, corn fiber, inulin, agave fiber and and honey! MariGold Bars offers six delicious low-FODMAP bars that are perfect for snacking at home or on-the-go: Coconut Rage, Macarooned, ChunkyChoco Pecan, Cinnabahn, and Cookie Dough are all low in FODMAPs. I recommend starting with the Low-FODMAP sampler. The bars are made of healthy, clean ingredients, don’t contain any aggravating fiber, and don’t have any off-list sweeteners. Read more about why they’re the best protein bars for IBS sufferers. Use promo code HFB10 to get $10 off your first box! 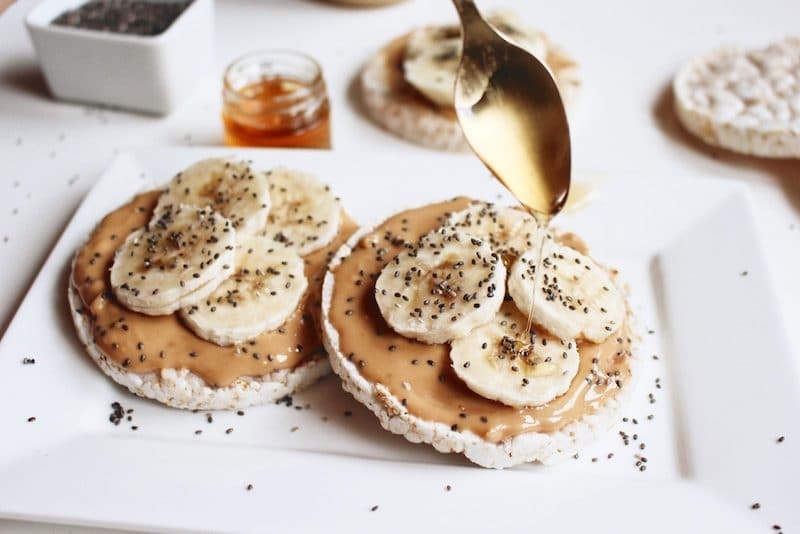 Double-check the label to make sure that your rice cakes don’t have any high-fructose corn syrup, then slather a creamy layer of peanut butter on top to fill you up. Bonus: drizzle on a touch of maple syrup! This filling snack is rich in soluble fiber and has a decadent mix of textures, while being entirely free of FODMAPs. 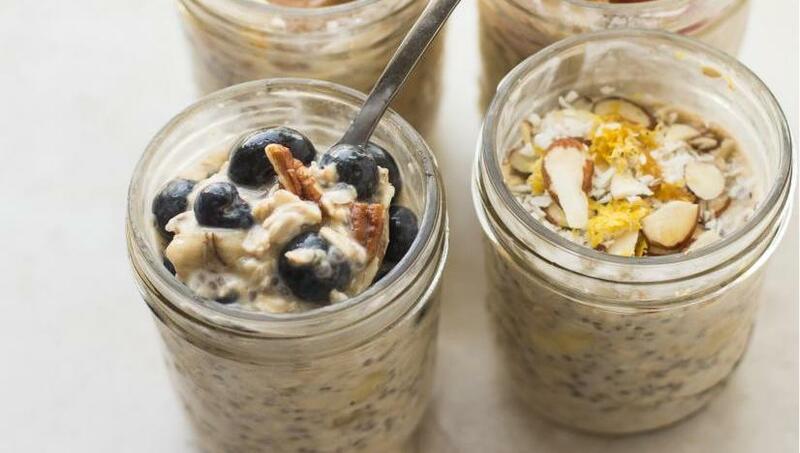 Prepare your oats up to five days in advance with chopped almonds, blueberries, and almond milk. 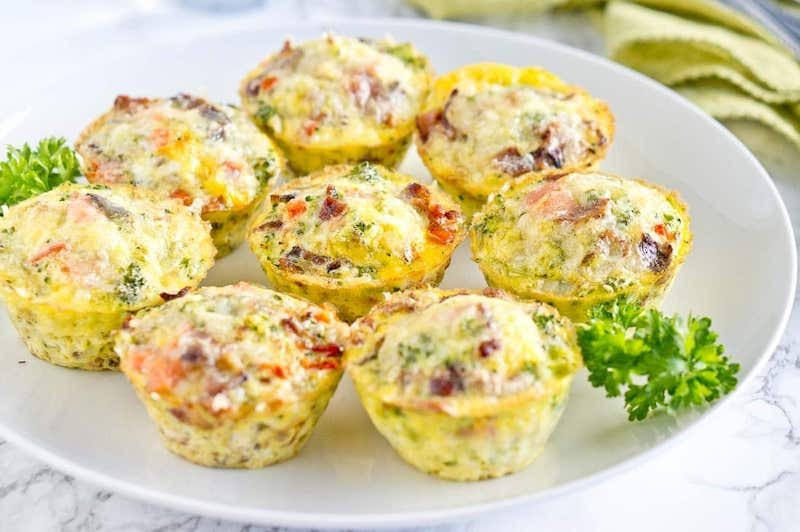 Bake crumbles of firm tofu, grated parmesan cheese, and egg in a muffin pan for a protein-rich, low-FODMAP snack. These muffins last up to a week in the fridge and microwave in just 30 seconds! Break up your spinach and kale leaves into small pieces for a chopped texture and mix with carrots, tomato, pumpkin seeds, and feta cheese. 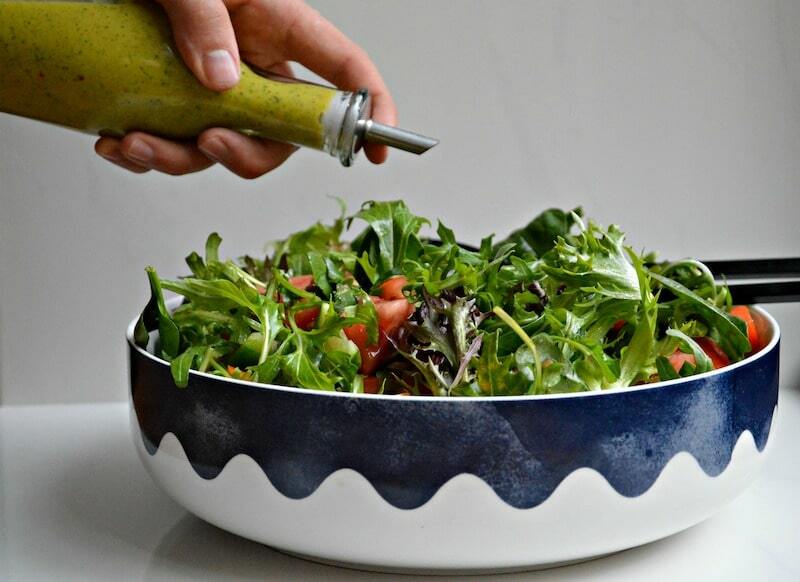 Add a small drizzle of garlic-infused olive oil, then shake it up! Although garlic itself is a high-FODMAP food, garlic-infused oils are safe and full of flavor. Soy-based yogurt is a creamy, delicious low-FODMAP snack. 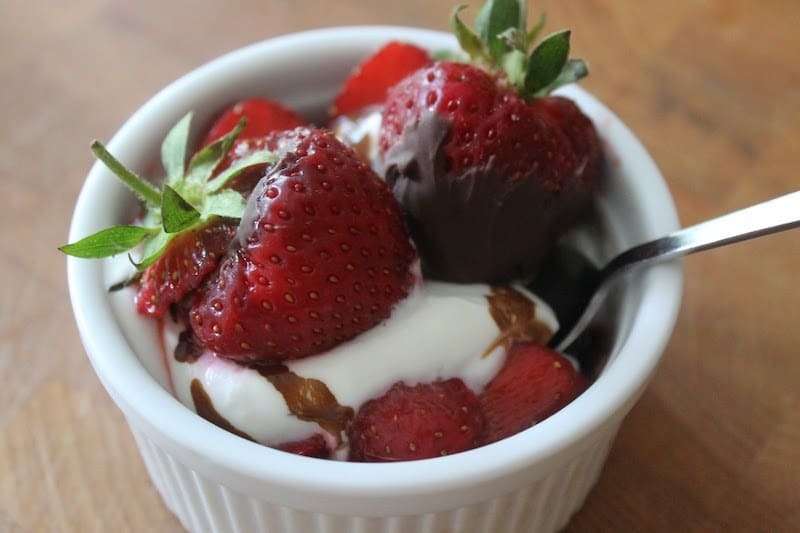 Top it with dark chocolate chunks and sliced strawberries. In your quest to avoid lactose, be sure to also avoid cashew yogurt, which is just as high in FODMAPs. 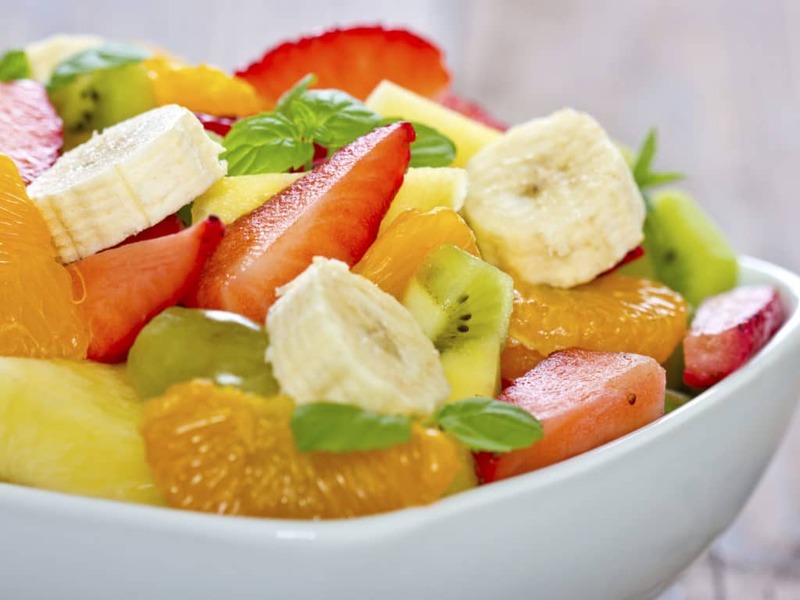 Although many fruits are triggers, there are still plenty of options to slice up for a refreshing snack. Try mixing an orange, banana, kiwi, and cantaloupe. This blend is full of both color and flavor. Make the most of your restriction period and take control of your IBS symptoms with these delicious low-FODMAP snacks. While you shop, be sure to check the labels and educate yourself about the low-FODMAP diet for a deeper understanding of the impacts. If you haven’t figured out that MariGold Bars are my favorite, now you know. Here are the links to get $10 off Pecan Praline and Cinnabahn, or use promo code HFB10.